Does your business measure, monitor and develop its organisational culture? 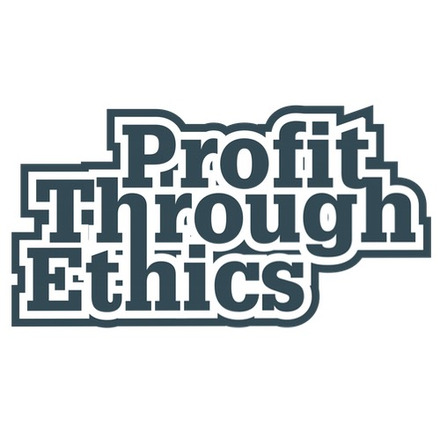 Profit Through Ethics Ltd (‘PTE’) does not currently have established policies and practices in place to measure, monitor or develop organisational culture. However, we recognise that culture in the sense of ‘the way we do things round here’ has a big impact on the nature of our organisation and it is extremely important to us. We have a distinct culture shaped, informed and manifest by what we do, and how we do it. This stated, since we are only able to meet some of the answering requirements for a YES answer, our primary answer to this question is NO. Although we were founded in 2003, for all intents and purposes, for all intents and purposes PTE remains a start-up. The founder, Michael Solomon, is currently the sole director, and there is no board. We have three full time members of the team, two part time contributing team members, and one part time paid intern. Our business values were developed with the involvement of all staff several years ago, incorporating everyone’s contributions and opinions within the process. Taking responsibility for our culture something all staff engage in, and has been part of our recent work undertaken with a Strategic Communications Expert to further develop our vision, and a recent brainstorming exercise aimed at understanding how our culture has evolved over the years, which is something we plan to use going forward. This collaborative working environment is key to our culture. We work well together, sharing tasks and to do lists and dividing up the workload so that we accommodate each other’s needs and interests. Given that much of our work involves generating ideas, we’re open to challenging each other - often debating new ways of doing things, and critiquing each other’s thoughts. Working in a shared office space with other social enterprises, the atmosphere is informal, open and friendly. Our working environment is a key part of our culture and is conducive to the way we work. Openness - We are open and honest about what we do and how we do it. We share the fact that our product and service offerings are not launch-ready, and identify where additional work and investment is required. Honesty - We demonstrate our commitment to openness and honesty by answering the R100 questions candidly, and publishing all answers on our website, even if we do not score highly on the scorecard for a particular topic. We provide the option for people to track the development and changes to any question over time, and publicise the partners we had in developing questions. Accountability - Our Company Code of Practice, which all new hires are required to read and is available to all current members of staff, details the importance of building strong relationships with our clients, partners and other stakeholders, and ensuring that a healthy level of accountability and trust exists between all parties. We continue to attract new and diverse clients, partners and investors and, as a result, develop and improve Responsible 100. We are accountable to these key stakeholders in particular, and we welcome the influence that they have on what we do and how we do it. Fairness - We believe businesses should be at pains to show how they are fair, and show how they contribute to society, and we are committed to treating one another, and our stakeholders, fairly. Innovation - We seek to be innovative and to empower and enable others to innovate for better business through R100. Day to day we do this by challenging ourselves, by debating with each other, and thinking creatively about how we can improve the R100 questions, scorecards, and roundtables. Contribution - We regard contribution, beyond that of generating a financial return to shareholders, to be a vital component of responsible behaviour. We believe in business’ capacity to have a positive social impact by providing a benefit to society and the environment as a whole. This is integral to why we do what we do. We seek to influence other organisations through the Responsible 100 benchmarking tool, and have identified culture as a core component that underlies everything a company does. It is a hugely influential and crucial aspect to all our R100 questions, from tax to work-life balance to whistleblowing to waste management. In describing their responsibility practices by answering the R100 questions, we enable businesses to set out their values and demonstrate how these inform their policies and practices. We are highly attuned to how policies and practices impact on and are influenced by culture, and, in turn, how culture informs an organisation’s policies and practices. The organisational culture of any business is of critical importance - it shapes and influences everything people in the business do at all levels, from top to bottom. Yet evidence suggests that businesses’ organisational culture is not given the attention it deserves: only 14% of FTSE100 businesses discuss their culture. A simple way to think of culture is as ‘the way we do things around here’. On a day-to-day level, organisational culture combines the behavioural norms staff tend towards, the environment they work in, the relationships between staff, and the business decisions they take. Though culture, given its abstract nature, is often reduced to ‘beliefs and values’, the real measure of the culture that is actually in place is the accumulated behaviours of people from across the organisation, from the shop floor to the board. The ‘way in which things are done’ is how performance is delivered and how embedded attitudes are demonstrated. Because organisational culture relates to the way things are done across organisations, it may differ across different parts of a company, particularly across different workplaces and locations. On a company level, the culture of the organisation is seen in its overall approach to business, stakeholders, and employee welfare. Research indicates that organisational culture is a source of competitive advantage and the foundation of how a company approaches risk. It is a key determinant of how businesses approach any social, environmental or ethical issue, and an unhealthy organisational culture can lead to significant financial and non-financial risks. For instance, an excessively competitive culture, with unattainable targets can lead to poor business decisions being made in a sales environment. A company has a culture whether it is monitored or not. There is no ‘right’ or ‘wrong’ organisational culture - it is specific to each business. Monitoring culture is a difficult task - a helpful though indirect approach is to consider ‘proxy’ indicators that reflect a variety of functions across the business. For example, monitoring employee turnover, levels of sickness-related absenteeism and customer satisfaction scores could illuminate whether there is a potentially unhealthy culture within a company. In addition, instances of whistleblowing or other grievances may indicate problems. An unhealthy culture can take years to reverse and ongoing monitoring allows senior management to make early changes if problems are detected. The better an organisation defines this cultural profile, then manages activity against it, the more likely it is that the culture will in reality become the 'norm'. Often, there’s an attempt to sum up the company’s culture in a single phrase or short soundbite, such as ‘putting the customer first’. However, this rarely fully describes the intended culture. Culture will always be a work in progress. Change can be initiated and evidenced over time, whether through to concerted efforts, or changes in company circumstances. Linking values and aims to day to day behaviours can make it clear to people across the business how the values and aims apply to them, and how their behaviour can affect the culture of the business. Directors can lead by example - demonstrating through their own behaviour how they act out the culture they want for the company. At the same time, however, leaders must realise that culture is the product of a complex combination of policies, practices and behaviours. It cannot be imposed from the top-down, rather it is the production of people at all levels of the organisation. 'Blind recruitment' is the practice of removing personally identifiable information from the resumes of applicants including their name, gender, age, education, and even sometimes the number of years of experience. 'Core values' are principles that guide all of a company’s actions, highlighting an ultimate set of behaviours and skills. A company’s values are the foundation of its culture. 'Direct measures' means that one specific variable is measured without the additional measurement of any intervening variables, or proxy measures. A direct method of measurement removes any interpretive linkage needed between the proxy and the variable of interest. Direct measures may include publicly stated principles and values, or a survey used to assess an understanding of company culture. 'Employee engagement' is a workplace approach which hopes to produce conditions in which all members of an organisation are able, and feel motivated and incentivised, to give their best each day. Effective employment engagement strategies ensure that the goals and values of organisations and its employees are aligned, leaving staff with an enhanced sense of purpose and wellbeing. 'Implicit bias' refers to the attitudes or stereotypes that affect our understanding, actions, and decisions in an unconscious manner. People who influence others without relying on their title or formal position in the hierarchy. These people can spread behaviours from the bottom-up. They may be seen as role models, or be popular members of staff, good team-workers or particularly innovative and enthusiastic about change. 'Internal auditing' is a catalyst for improving an organisation's governance, risk management and management controls by providing insight and recommendations based on analyses and assessments of data and business processes. 'Metrics' are standards of measurement, here used by a business to assess their culture. 'Proxy measures' are indirect measures of the desired outcome which is itself strongly correlated to that outcome. It is commonly used when direct measures of the outcome are unobservable and/or unavailable. Proxy or indirect measures may include values training undertaken by a company, references to culture in the company chairperson’s annual reports, and embedding values in long-term pay incentives. A 'top down' culture is one where values and behaviours are decided on by a few people in authority rather than by the people who are affected by the decisions, and imposed rather than facilitated with the involvement of staff.